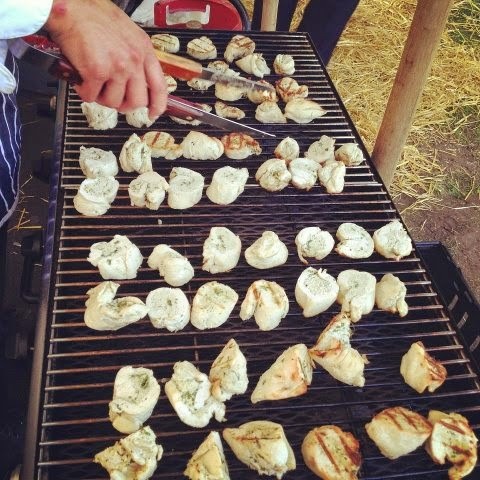 of this month had initially wanted a barbecue but then changed her mind to a more dinner party style event inside due to the english weather, but still wanted the tarragon poached chicken that we have done for a few barbecues since we created it 2 years ago, so we served it bistro style inside instead. 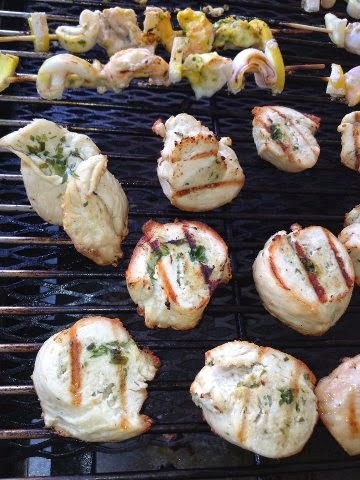 Maybe they looked something like this chicken balmoral dish we did for an irish theme party last year. "I am surprised in your choice of music" said my dad as we were making these at 11pm on a Friday night. YES! I've waited all my life to hear this! Most people get this reaction from their parents in their teens but I was more into Grieg, Handel, Bach, Byrd, Purcell etc then. These days that hasn't changed but it's joined on the music shelf with French jazz, trashy 90's pop, 50's doo-wop, obscure Scandinavian sounds, a bit of Bjork, the minimalist composers (big fan), a bit of rock (great to get you going in the morning), electro punk, a bit of Brazilian samba and my current obsession with Jewish music. The list could go on. There is the occasional youtube skrillex session for old times sake for instan.